Several concerning events took place on YSU’s campus on Monday, one being the lockdown situation due to a suspect with an alleged firearm. Another unfortunate incident occurred during the lockdown that may have caused some panic, and perhaps a few chuckles, regarding a supposed article from The Jambar circulating throughout the internet. Not only is this grammatically incorrect and obviously goes against Associated Press style, it is also extremely embarrassing to have multiple people send me the photo, questioning our ethics and if it was a legitimate article. 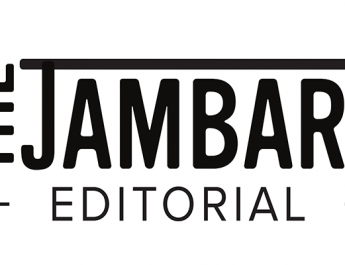 As editor-in-chief of The Jambar, I am both disgusted and appalled that a young student would think it was appropriate to cause a panic or to joke about something so serious during an already chaotic time on campus, while simultaneously tarnishing the reputation of the university’s student newspaper. Through an internal investigation, The Jambar discovered a student from Warren John F. Kennedy High School had used the “inspect element” option when you right click on any webpage and altered the words on his screen to claim another student from the school had died during the firearm suspect and lockdown situation at YSU. It is important to note that when utilizing the “inspect element” option, the person using the tool can only manipulate what appears on their own screen and does not appear on others’ screens. Thus, the use for a photo taken from a phone of the computer. We are living in a sensitive time when everything we say, write or do is carefully examined and has the power to influence those around us. This is why The Jambar is dedicated to taking the necessary precautions to ensure we disseminate the most accurate and truthful information to the Youngstown area as possible. We take our jobs very seriously and highly denounce any attempts to play a prank aimed to be funny, especially during times of distress and panic like during the lockdown on Monday. We hope Warren JFK officials take the necessary measures to discipline the culprit and welcome the student to join us for one of our production nights next semester to learn about what we do at The Jambar. Readers can reach me at my university email, mlpetronelli@student.ysu.edu if they are interested in my offer.